College Football’s week 2 will feature less interesting match ups than opening weekend but there are still some games worth keeping an eye on. Here are my picks for this week’s top Saturday games. Let me know what you think on the comments section below or tweet me @MauNFL! A game in which we might watch four different quarterbacks play football, with both teams splitting time between their respective passers will be played at Kyle Field this Saturday in a game that features the Clemson Tigers as double-digit favorite. Both teams come from big wins against FCS teams and are ready to make their FBS debuts against each other. For the Aggies, Jimbo Fisher will be key to a succesful season, but it’s too early for him to lead his team to a victory against Dabo Swinney’s Tigers. Herm Edwards will make his debut versus a Power 5 team while coaching the Sun Devils trying to upset a team who barely got the win versus Utah State a week ago. Michigan State wasn’t great last week but they still have a legit defense that will complicate things for Arizona State. This will be a very close game and could be defined in the final seconds of the game. With senior linebacker Jay Jay Wilson coming back from a suspension, I’m taking the Sun Devils at home. I never feel comfortable betting against Mark Dantonio, but I liked how Arizona State looked on offense and defense versus Texas San Antonio and being at home certainly helps. According to Las Vegas, this will be a closed game. I’m here to tell you it won’t. The rematch from last year’s Pac-12 Championship game will be played at Stanford. QB Kevin Costello was impressive against San Diego State last week and has proven to be the guy for the Cardinals. As for USC, freshman QB JT Daniels looks promising but will have a tough time replacing Sam Darnold. The Trojans will have a rough night trying to defend RB Bryce Love. 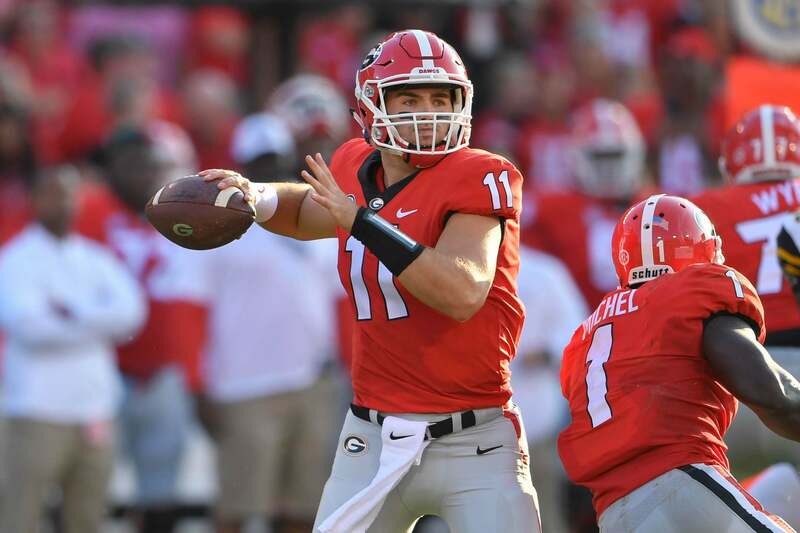 After Georgia’s surprising championship run last season, Jake Fromm is one of the most exciting players on the college football landscape. Both of these SEC teams are full of talent and have various key returning starters. South Carolina being the home team certainly makes this game more interesting, but Georgia is the better team by far. I expect the Gamecocks to keep it close, but not close enough.